Although the recent focus has shifted towards the prosecution of heroin users and dealers, cocaine offenses are still punished harshly in Pennsylvania. Jail time, a license suspension and hefty fines are just some of the potential penalties you may face if charged with a possession of cocaine offense. Should I be charged with a Felony or Misdemeanor for Cocaine Possession? Whether or not you are charged with a felony or misdemeanor for the possession of cocaine is based upon whether or not the government can prove that you delivered cocaine, or had possessed cocaine for the purpose of giving or selling it to others. A person who possesses a relatively small quantity of crack cocaine or powder cocaine is typically charged with a misdemeanor offense. For example, a person with a small baggie of cocaine and a straw is more likely to face a misdemeanor possession offense than a felony. Alternatively, if police believe you possessed cocaine with the intent to sell or deliver it, you will be charged with felony Possession With Intent to Deliver. For example, someone found in possession of several grams of cocaine in multiple bags, with digital scales and large quantities of cash, will almost definitely be charged with a felony. What are the penalties for Misdemeanor Cocaine Possession? For a first conviction for misdemeanor cocaine possession, you are facing up to 1 year in jail, a $5,000 fine and a mandatory 6-month license suspension. For a 2nd conviction, you're facing up to 3 years in jail, a $25,000 fine and a 1-year mandatory driver's license suspension. For a 3rd or subsequent conviction, you're facing up to 3 years in jail, a $25,000 fine and a 2-year mandatory driver's license suspension. What are the penalties for Felony Cocaine Possession? The range of maximum penalties you're facing on felony possession offenses depends on the quantity of cocaine recovered. The possible maximum sentence is up to 15 years in jail and a $250,000 fine, dependent upon the amount of cocaine recovered. Also, you are subject to a 6-month license suspension for a 1st conviction, 12-month license suspension for a 2nd conviction, and 18-month suspension for a 3rd or subsequent conviction. AN ARREST IN PITTSBURGH FOR COCAINE POSSESSION DOES NOT NEED TO END WITH A CONVICTION OR JAIL TIME. If you've been charged with a felony or misdemeanor for possessing cocaine, you need to retain an experienced Pittsburgh drug crimes lawyer to represent you moving forward. 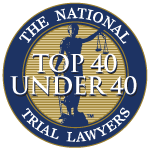 Attorney Dave Zuckerman has experience prosecuting and defending those accused of cocaine possession, successfully resolving many cases on behalf of his clients. For a free, confidential consultation, contact the Zuckerman Law Firm LLC today at 412-447-5580 today.